Philip G. Zimbardo is Professor Emeritus of Psychology at Stanford University, where he joined the faculty in 1968 and, three years later, published the Stanford Prison Experiment — a pioneering study on the psychology of imprisonment. 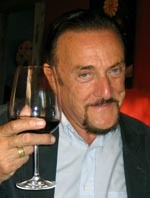 Based on this research, Professor Zimbardo testified before Congress on the need for prison reform, served as an expert witness in the Abu Ghraib prison case, developed a Stanford Prison Experiment web site whose pages have been viewed more than 50 million times, and wrote a nonfiction bestseller (The Lucifer Effect: Understanding How Good People Turn Evil). In 2005, a documentary about the study was released on DVD and is now used to train prison guards in Iraq so that abuses similar to Abu Ghraib are not repeated. 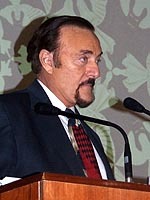 Professor Zimbardo grew up in the South Bronx area of New York City, attended Monroe High School with his future colleague Stanley Milgram, and earned his Ph.D. from Yale University. His record includes over 300 publications and many leadership roles, including President of the Western Psychological Association (twice), President of the American Psychological Association (APA), and Chair of the Council of Scientific Society Presidents (CSSP). He has also served as a board member of American Psychological Foundation and is President of the Philip G. Zimbardo Educational Foundation. In addition to his record of research and leadership, Professor Zimbardo is a dynamic speaker and beloved teacher. Indeed, after teaching introductory psychology for 50 years, hosting the PBS television series Discovering Psychology, and coauthoring Psychology and Life (the longest continuously published introductory text in the history of psychology), he has probably introduced the field of psychology to more people than anyone else in the discipline. In recognition of this work, Professor Zimbardo was recently honored with the CSSP Sagan Award for Promoting Public Understanding of Science and the APA Award for Distinguished Contributions to Psychology in the Public Interest. * The FABBS Foundation would like to thank Dr. Robert Feldman and Dr. Scott Plous for nominating Dr. Zimbardo for this honor and for leading the effort to spread the word about his nomination. Would you like to honor Dr. Zimbardo? It’s not too late to have your name added to the list of donors! You can make your donation to Dr. Zimbardo’s In Honor Of… campaign at anytime.